A major corporate landlord will have to answer for a late-fee policy that tenants say is illegal. According to a report, the landlord owns 82,500 single-family units nationwide, making it the country’s largest single-family landlord. An estimated 12,500 of those homes are in California, where a lawsuit over the company’s late-fee policy was filed last week. It is expected that the attorneys filing the action will seek class-action status. If that is approved by the court, it could exponentially increase any damages that might be awarded. The primary issue in the case is a mandatory $95 late fee that is assessed if rent is late, even by one hour, according to the report. The tenant bringing the complaint claims that he was assessed the late fee although the landlord’s electronic payment portal was out of service and he was forced to submit a check. Later, his rent check was rejected because it did not include the late fee amount. Additional late fees then were stacked for each month the tenant didn’t pay the original assessment, even though subsequent rent payments were paid on time. The tenant is challenging the legality of the late fees amount given how little time passed between the rental due date and assessment of the fees, and because the fees were cumulative, which lawyers say bears no relationship to the landlord’s actual losses. According to the report, the complaint alleges that the landlord represented to its shareholders that the late-fee policy generated a 20 percent increase in profits. That prompted attorneys to include a claim that the landlord’s profit motive injures consumers. While it is not clear how that argument will play out, some states have passed consumer protection statutes that allow private parties to claim civil penalties — in some cases as high as three times the actual damages — along with punitive damages and attorney’s fees. An amount that constitutes a penalty or fine as opposed to compensation for the landlord’s losses. 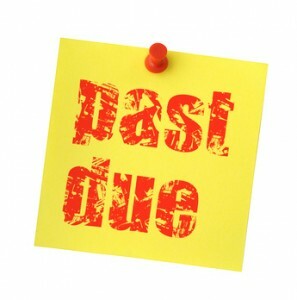 Due to those limitations, late fees are not a viable incentive for tenants to pay rent on time. In fact, some tenants use late fees like a financing charge, paying other more persistent creditors first, and then paying the landlord when more money comes in. A better incentive for tenants to pay on time is to Report Rent Payments through TVS and Landlord Credit Bureau. That information is shared with a credit reporting agency, so tenants who see the Notice to Tenant in the lease agreement instantly understand the consequences of bad money management. Next post: Landlords: Is Your Landscaping a Liability?